Dirty Bourbon River Show at Balliceaux | Night and Day | Style Weekly - Richmond, VA local news, arts, and events. 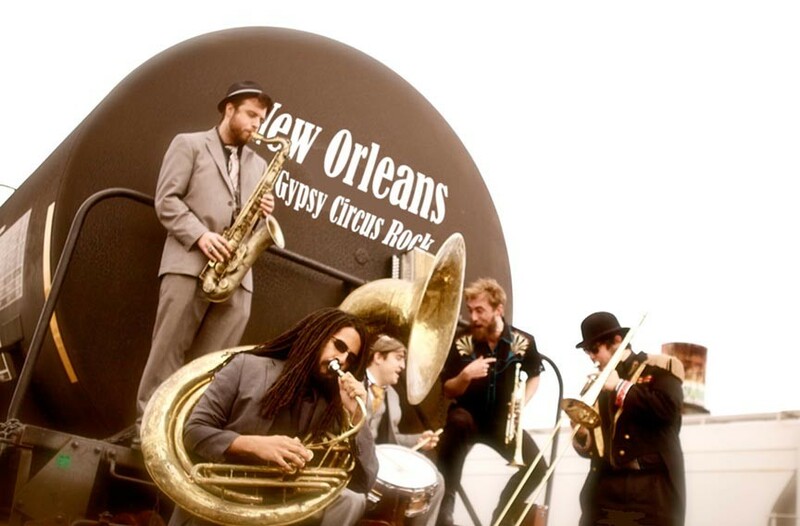 The infectious blend of New Orleans gypsy rock that Dirty Bourbon River Show makes has, in fewer than four years, managed to make waves in the music scene. The musicians travel across the country playing for their dedicated fans, who love the group’s multifaceted sound and high-energy performances. Pushing musical boundaries and writing complex, harmony-rich songs led its fifth studio album, “Volume Three,” to receive high marks from New Orleans’ Offbeat Magazine. Dirty Bourbon River Show performs at Balliceaux on Tuesday, Oct. 16, at 10 p.m. $5. balliceauxrva.com.